Ethel Barrymore Theatre, New York. New York Theatre: I am so happy that I picked this play to see when a time slot opened up on my New York Week with Kids trip. I see a lot of really good theatre but this production was a standout in every aspect. The script adaptation from Haddon’s novel was very well done, the acting was superb and the technical production aspects stunning. 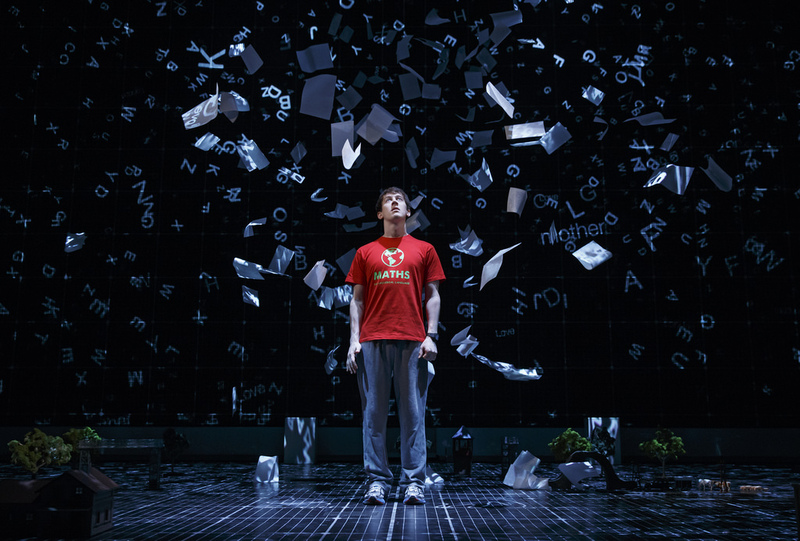 The play tells the story of 15 year old Christopher Boone, who lives with his father, Ed, and attends a special school. Christopher is ”different”. He can’t stand to be touched, or be around yellow or brown things. He is socially awkward, avoids eye contact but he never lies, he is very bright and his memory and understanding of numbers and mathematics is extraordinary. When Christopher finds his neighbour’s dog, Wellington, stabbed to death with a garden fork, he is initially accused of stabbing the dog. Christopher is determined that he will find the real culprit. During the course of his investigations Christopher learns much more than who is the guilty party. He discovers truths about his family and about his own strengths and abilities. I saw the matinee performance with Benjamin Wheelwright as Christopher. As a Vancouverite I was delighted to see this graduate of the National Theatre School of Canada in such an awesome performance. Andrew Long who plays Ed was also outstanding in his portrayal of a father who loves his son and wants only the best for him, but is often overwhelmed by the challenge of caring for a special child. As Christopher’s teacher, Siobhan, Stephanie Roth Haberle portrayed a warm empathetic person whose voice echoed in his head to calm him when his frenzied thoughts became overpowering. Under Elliott’s direction, the inspired choreography of Scott Graham and Steven Hoggett and awesome lighting and video effects (Paule Constable and Finn Ross) on the black cube set (Bunny Christie) worked together to simulate the patterns of staccato frenetic thought processes interspersed with periods of repetitive, fixed thoughts, triggered in Christopher’s mind. Over all I found this play incredibly moving and loved the whole production. Really glad I saw it.